Heat oil in kadai for deep fry lady fingers till kurkuri. Sprinkle salt, chat masala, red chilly powder, coriander powder and mix well. 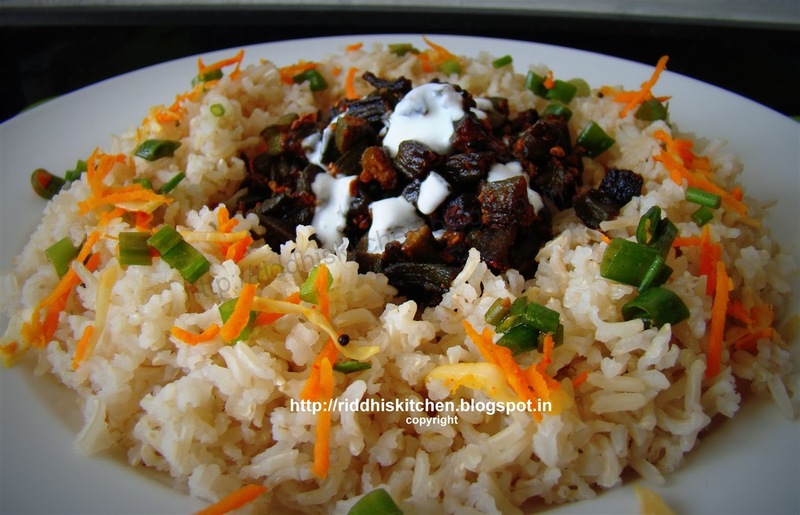 Take serving plate, arrange rice and kurkuri bhindi with curd. Garnish with carrot and spring onion and serve it.